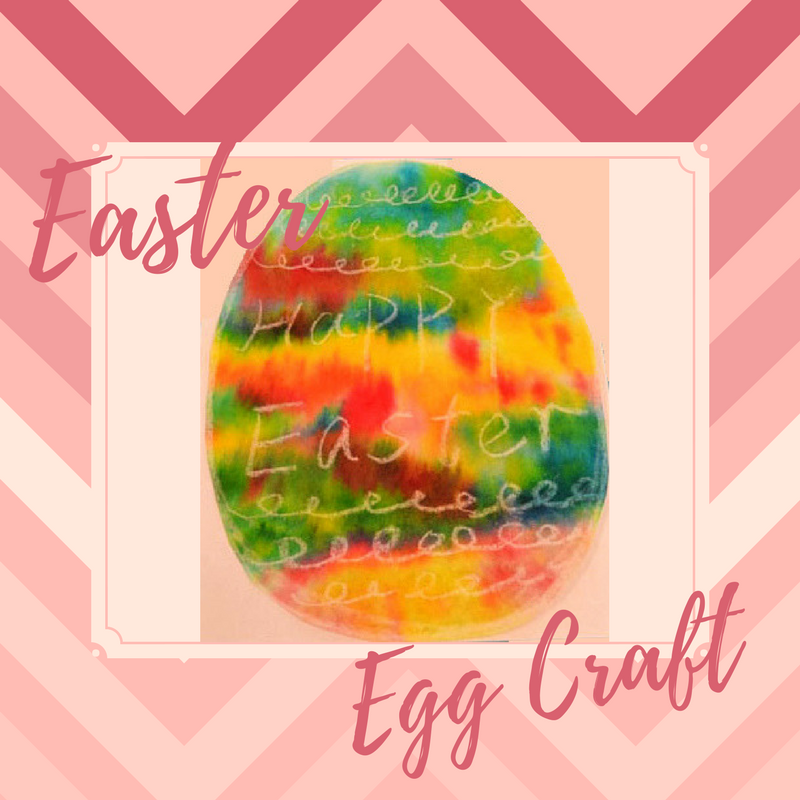 Are you looking for Easter egg ideas? 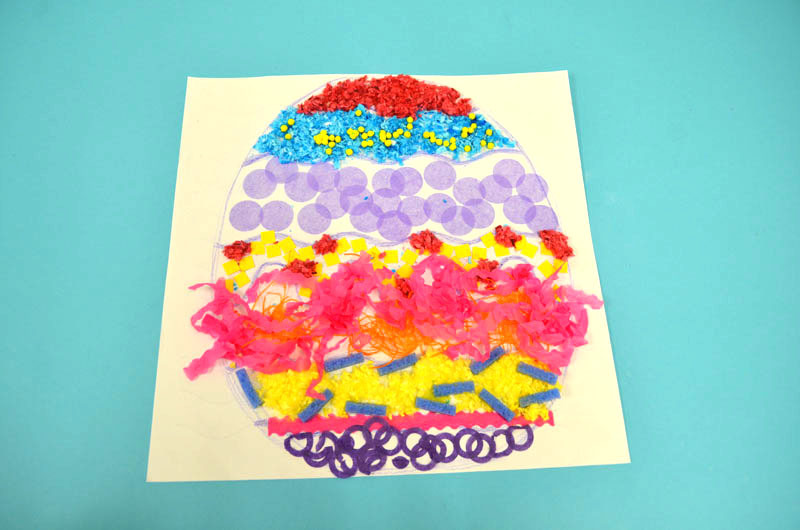 The sensory collage Easter egg art project is great for your classroom activities. It introduces children to the important senses of the human body with Roylco’s Sensory Collage Kit. It’s also great for working on fine motor skills. Learning Outcomes: Exercise fine motor skills. Practice sorting materials by color and texture. Learn about collage art. Develop sensory awareness. 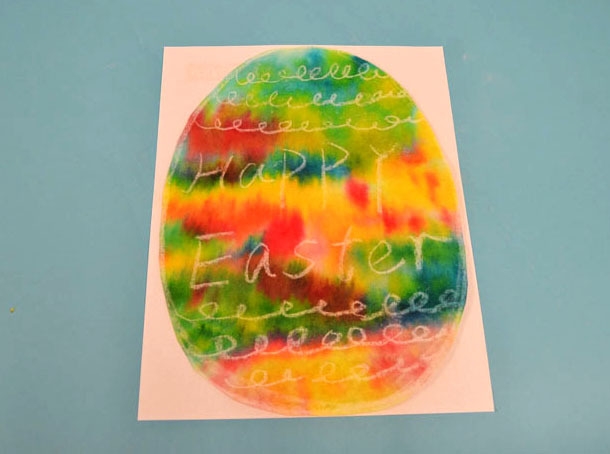 Pull out a wavy sheet from the R15413 Sensory Paper package, choose your favorite pastel color, and draw an outline of an egg. Encourage kids to slowly move their palms and fingertips over the paper to feel the small raised patterns. Some kids may want to follow the patterns on the paper to create their designs, while others may want to create their own designs. 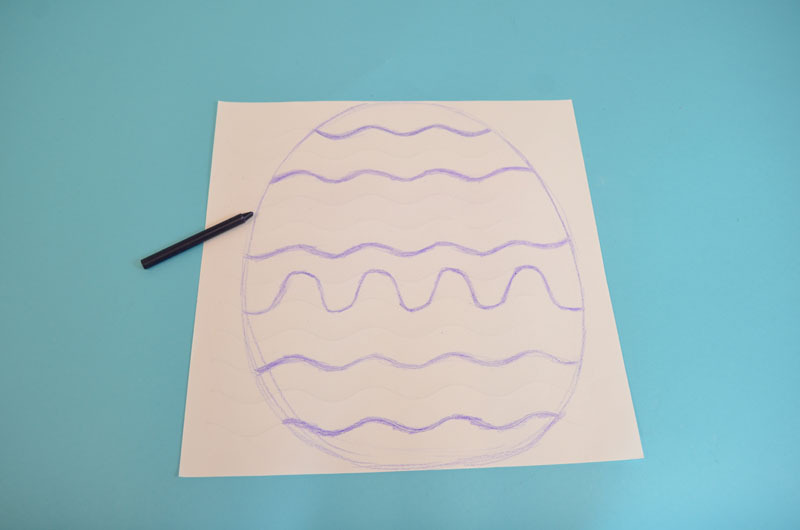 You can color the wavy lines on the paper and it will divide the egg into different sections. You can make these lines as bold as you like. 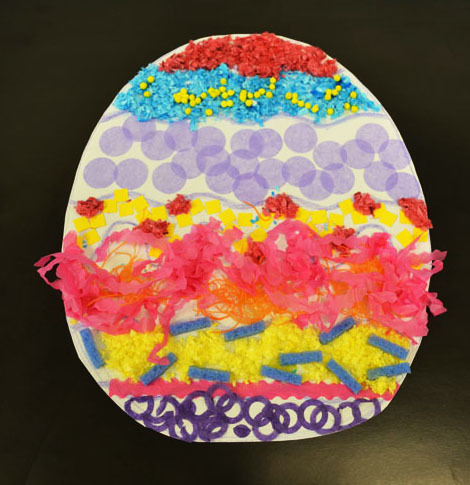 Next, plan and place the sensory art materials you like on your egg. The Sensory Collage Kit contains 20 different sensory art packs to use in creating unique illustrations. 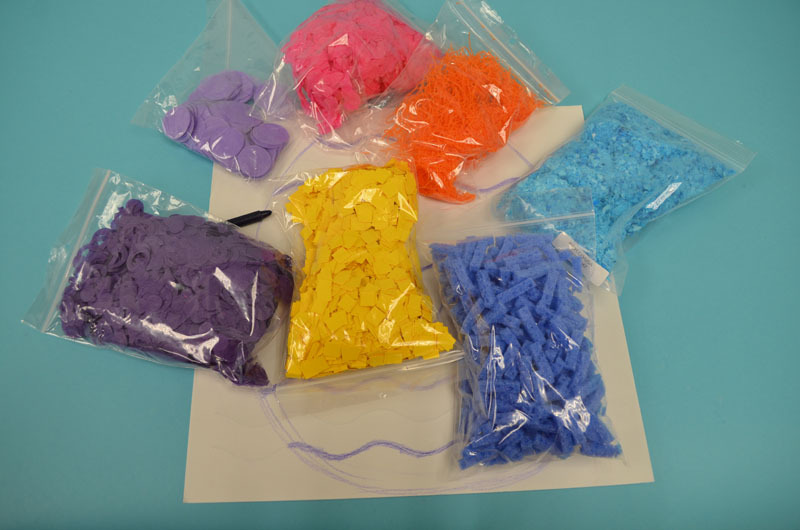 Before gluing the sensory art materials onto the artwork, you can play with the colors and the different textures. 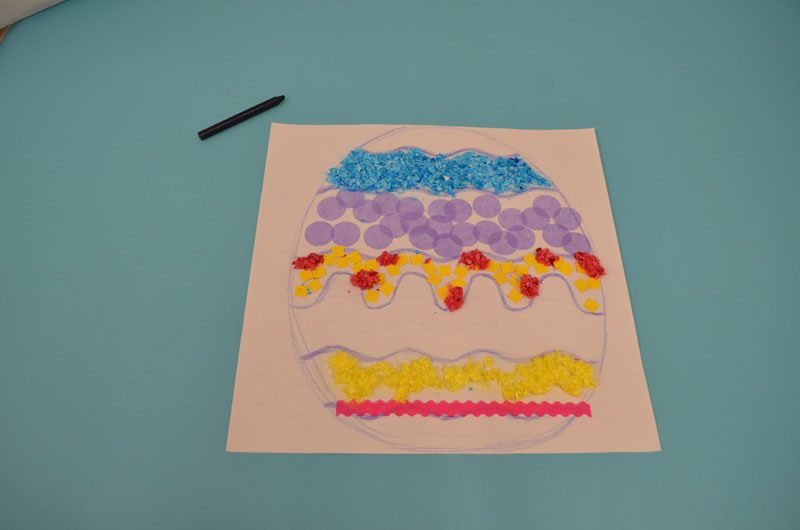 Think about which sensory art materials would best represent your Easter egg artwork. 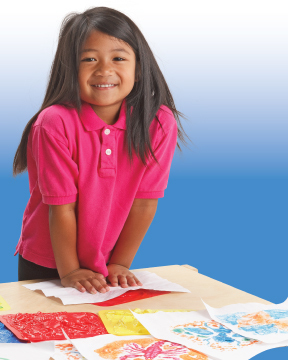 Encourage children to talk about the color and the texture they use on the artwork and discuss what they feel. Is the color a warm color or a cool color? Is the material rough, hard, scratchy, smooth or bubbly? After exploring the materials, children can start to glue the sensory materials onto the artwork. The artwork is almost finished. Have the children cut out the egg and glue it on to the cardstock. Here is our sensory collage Easter egg artwork. 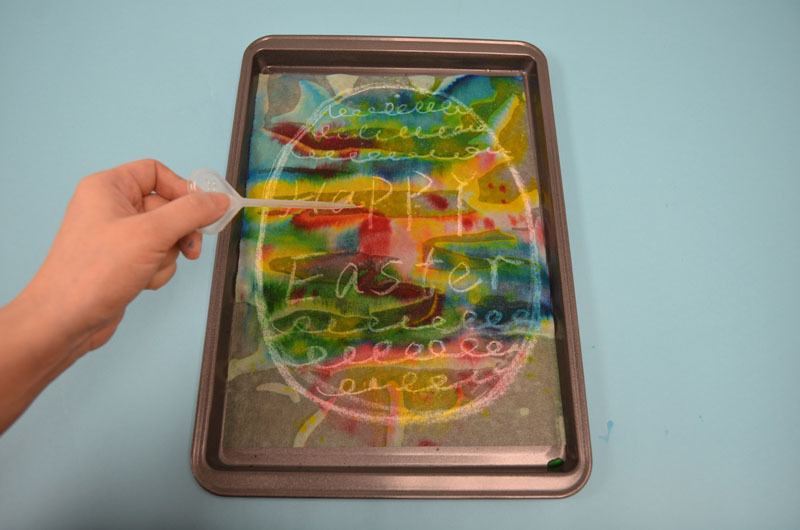 Write your name on the artwork and take it home for your Easter celebration! 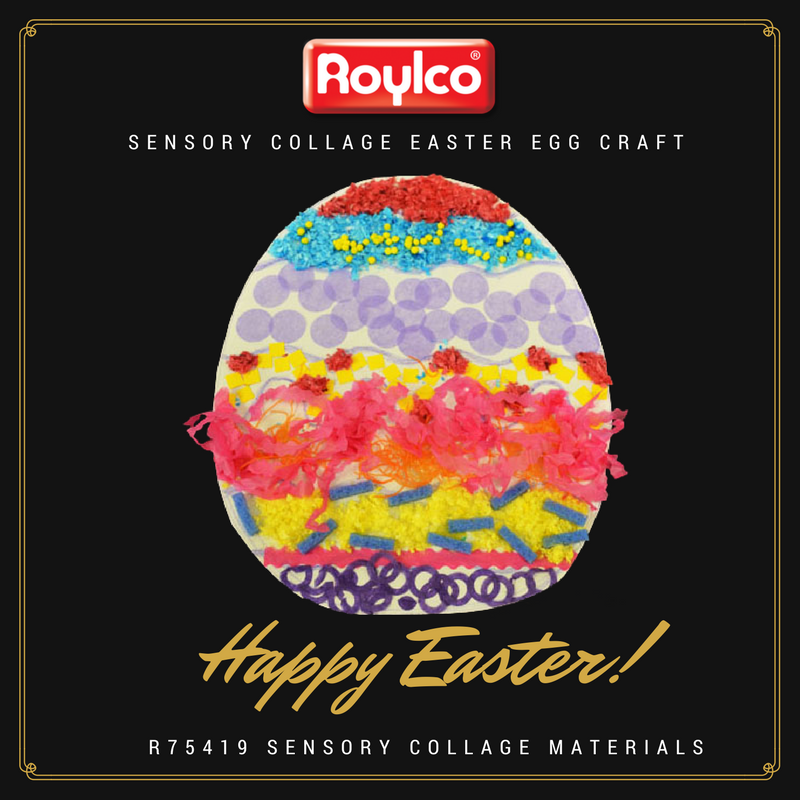 Make beautiful color diffusing Easter Egg Artwork by using Roylco’s R15213 Color Diffusing Paper™! Duration: 5 minutes for painting and assembling, couple of hour for drying. Learning Objectives: Use fine motor skills to squeeze paint from pipettes onto paper. Learn about the process of diffusion with beautiful Color Diffusing™ technology. 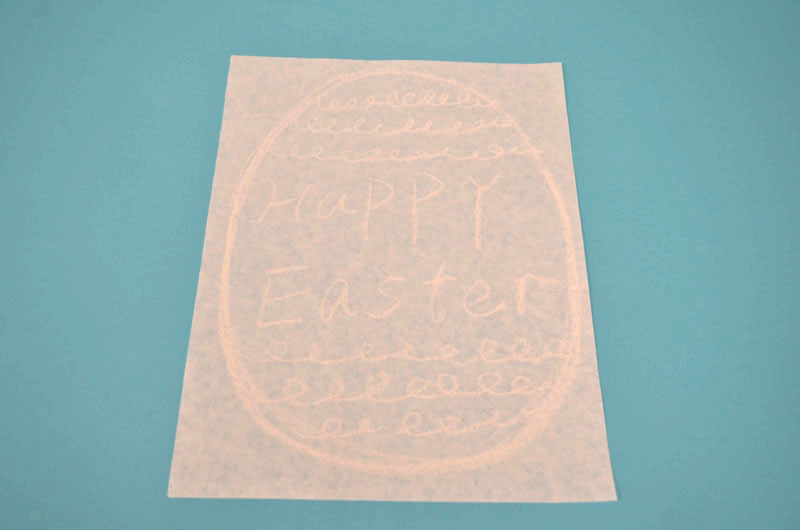 Use white chalk to draw an outline of an egg on to Roylco’s R15213 Color Diffusing Paper™ . Then create some patterns to design your egg. I also wrote ” Happy Easter” in the middle of the egg. 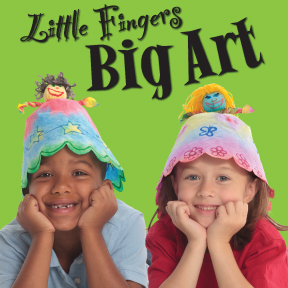 Encourage children to use their imagination to create their own designs. Next, place the paper in the paint tray. Wet the R15213 Color Diffusing Paper™, and use Roylco’s R54470 Junior Heart Paint Pipettes to drip liquid watercolor paint over top of the wet surface. Encourage children to experiment with different color palettes. It’s lots of fun for children to play with different colors and watch the colors flow and blend to create spectacular patterns and effects.. This is a great time for children to learn about color mixing, ask the children to discuss the effects of color mixing. Let the artwork dry in the paint tray for couple of hours. You can also use a blow dryer to dry the artwork. You can see the result is unexpected and beautiful. The color diffusing Easter egg artwork is almost ready. 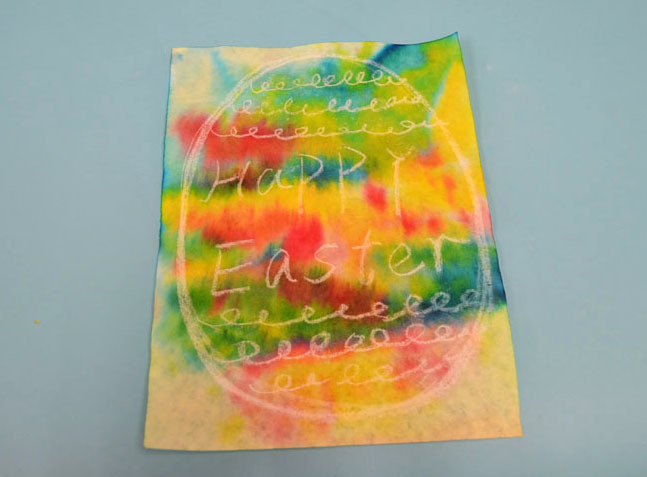 Once the paint is dry, you can cut the egg out and glue it on to the cardstock. 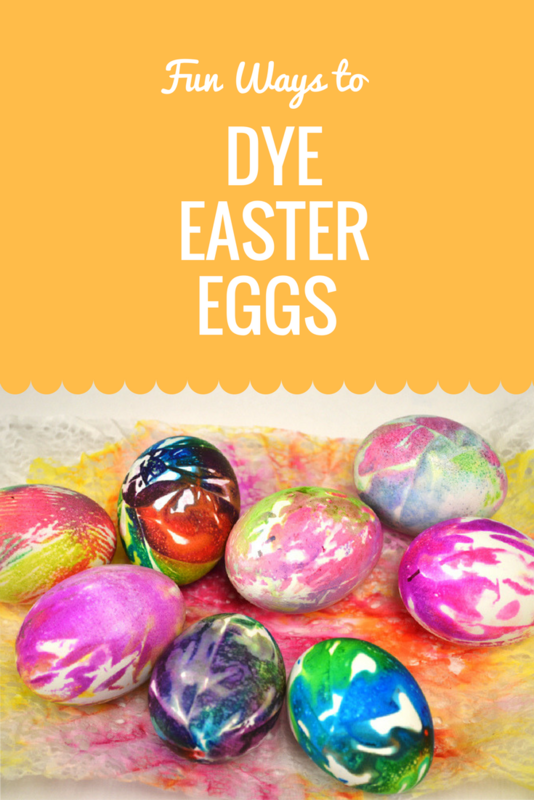 Today we are going to show you some fun ways to dye your Easter Eggs. You can use Roylco’s R22054 Lace Design Paper or R15214 Super Value Color Diffusing Paper™ to dye your eggs. Please see the graphic below. We used both papers. 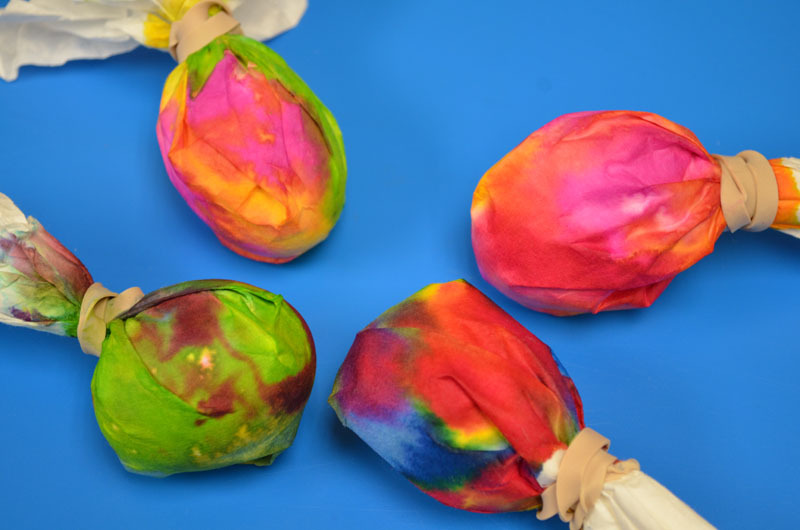 The different texture and design of the paper will create different dying results on the Easter eggs. 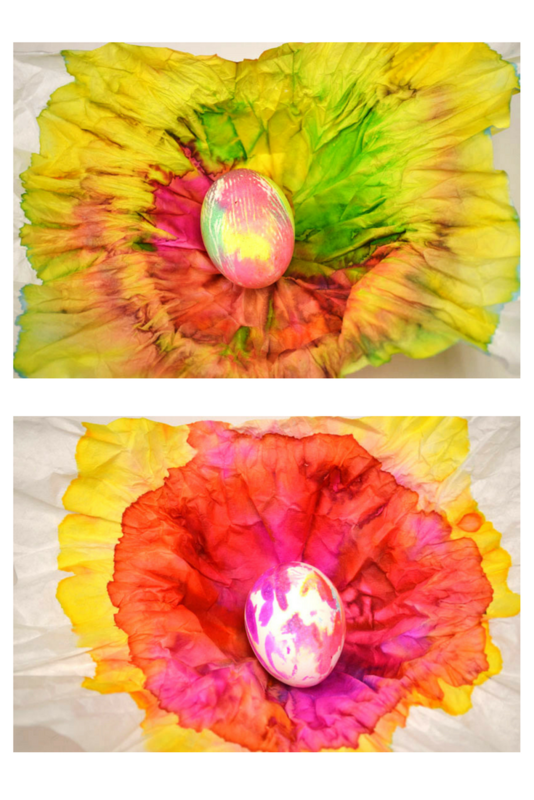 Use either the R22054 Lace Design Paper or R15214 Super Value Color Diffusing Paper™ to wrap the egg. Tie the ends tightly with an elastic. Use Roylco’s R54470 Junior Heart Paint Pipettes to squeeze a few drops of food coloring on to the paper. Then use another Junior Heart Paint Pipette to squeeze a couple of drops of water on the egg. 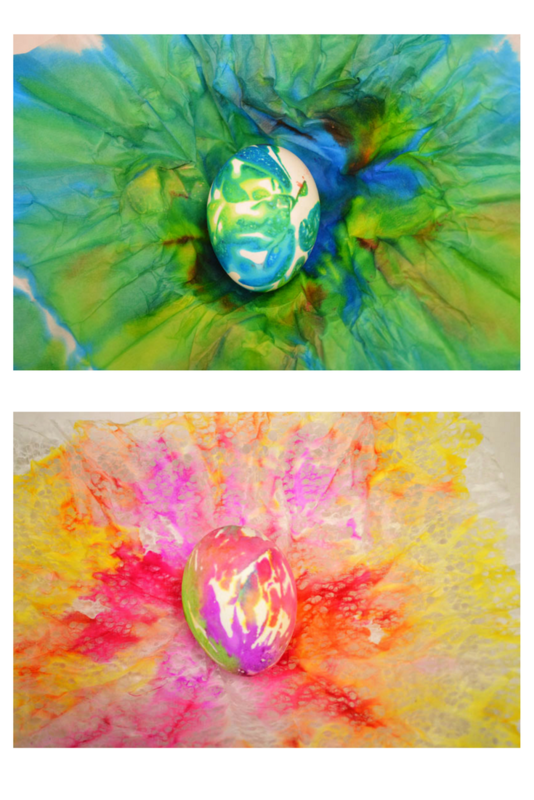 As the egg becomes wet the colors will flow and blend together. Please do not drop too much water on the egg. The more water you add, the more diluted the color of the egg will be. 3. 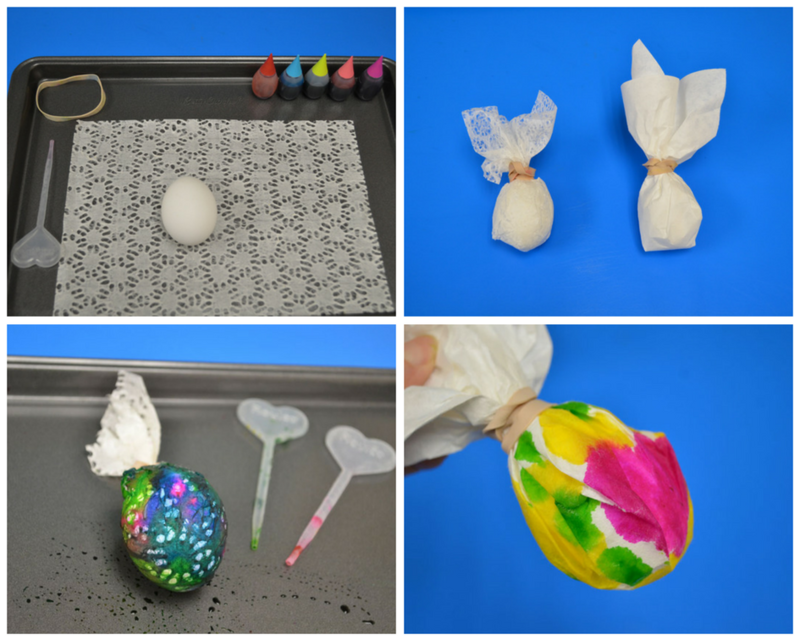 Use the same technique to dye the eggs with different colors. 4. Place the eggs in the paint tray. Let them dry. It will take around 6 hours for them to dry. To speed up the drying, you can use a blow dryer. All the eggs are dry now! Let’s open them! You can see the spectacular patterns and colors on the eggs. You can use your eggs as decorations or have an Easter Egg hunt. Enjoy them!